Adrià Chavarria Curto, Etty Hillesum. Un ungüent per a tantes ferides. ; Etty Hillesum, An Interrupted Life: the Diaries of Etty Hillesum, 1941-1943. Esther ("Etty") Hillesum's father was a teacher in classical languages. After graduating from gymnasium, she enrolled in the University of Amsterdam, where she completed law studies in 1939. Etty then moved on to study Slavic languages in Amsterdam and Leiden. Etty had many friends, including among the emigres who fled Nazi persecution elsewhere in Europe. Among these was Julius Spier, a psychologist she met in 1941. Spier, whom she calls "S" in her diaries, became her teacher and also her great love. It was he who advised Etty to keep a diary in order to record her inner thoughts. In July 1942, Etty Hillesum got a job at the Jewish Council in Amsterdam. At her own request, she was transferred to Westerbork, a detention camp for Jews. As a member of the Jewish Council she had a special travel visa that made it possible for her to return to Amsterdam on several occasions. She became ill in the winter of 1942-43, but refused the offers of friends to go into hiding. She chose to stay with her people and returned to Westerbork. On September 7, 1943, the Hillesum family was transported to Poland, and Etty died in Auschwitz. She left behind an her diaries and letters, which were finally published in an anthology in 1981. The book was immediately a great success worldwide. In 1986, the complete and unabridged edition of her works was issued. Etty Hillesum's diaries reveal how she rapidly developed into a mature and independent woman in solidarity with her people. In 1993, 50 years after her death, the Etty Hillesum Foundation gave the original diaries and letters to the Jewish Historical Museum in Amsterdam. Etty Hillesum is currently considered a "single author." If one or more works are by a distinct, homonymous authors, go ahead and split the author. 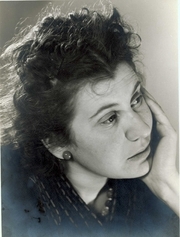 Etty Hillesum is composed of 9 names. You can examine and separate out names.